Singapore Carpet Cleaning: Is the Chemical Used In Carpet Cleaning Safe? Is the Chemical Used In Carpet Cleaning Safe? Carpet cleaners all around Singapore can use an extensive variety of convenient chemicals in the cleaning process. These include many useful items that are designed to keep the appearance of the carpet intact while also ensuring that the fibers will stay sturdy and flexible for years to come. Some people are clearly going to hold reservations over these chemicals though. After all, they are materials that are often made with loads of different items that are mixed and measured and in some cases processed. It is important for all people who hire carpet cleaners in Singapore to see just how chemicals are used. This listing includes many products that are being used by many cleaners as well as some that are being phased out by a number of them out of the fear that some of these items may be rather dangerous to use. 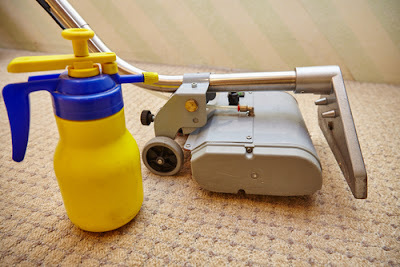 Hydrogen peroxide, or H2O2, can be used in a number of different carpet cleaners. This is typically for spotting needs and can even be used for pre-spray treatments. 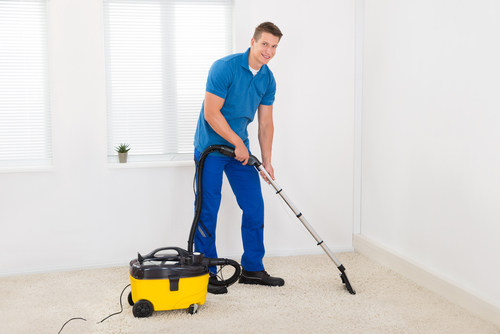 It can target very specific stains and can be cleared out with care to ensure that your carpet will be treated right and cleared out without any problems coming from what you may hold. · It is known to be colorless. · It also has a minimal odor to it. · The compound can also be vacuumed away after a period of time as the material works to clear out old chemicals and other items that might be in the way of a spot. This is done to protect a carpeted surface and to ensure that it will be as sturdy and comfortable as possible. Most importantly, H2O2 is an effective material in that it can be added to a surface and then cleared out with care. It is not going to take much time for people to handle when used with care. A degreaser is another type of compound that is often used in many cases. The degreaser is a type of compound that was created with the intention of replacing many older solvents that had been known to be extremely abrasive or harsh on surfaces. · They feature biodegradable bodies that will not linger. · These acids can pull oils from surfaces. These can then be vacuumed up to preserve the body of the carpet. · They are often gathered from many healthy and dafe food-based sources. The great part of these degreasers is that they can be rather easy for different surfaces to be treated with care while not creating a negative impact on the environment. This is a critical point for all to see with regards to finding items that are safe to use in a home. One material that may be used for spot cleaning when taking care of carpets is liquid carbon dioxide. It is an environmentally-safe component that is water-based and does not contain harsh additives. This is designed with a setup that is suitable for most surfaces including some surfaces that might require the use of a dry cleaner's services in order to get cleaned off. This is a rather safe material that is easy to use and add onto any surface and should be checked with care to ensure that it will not be too hard to add onto a surface as necessary. Some carpet cleaners are still adamant on the use of petroleum in their cleaning solvents. Petroleum has been used in many chemicals and solvents because it is known to cut through grease and many other rather difficult stains. However, that does not mean that the petroleum one has will be safe. It is known to create extremely dangerous odors and can stick around in many carpets for a while. It can also create some dangerous residues if not used properly. As a result, some people can get sick if they are stuck around loads of petroleum-based components. Therefore, it is no surprise that more people are trying to get away from petroleum use in their cleaners. · It is known to cause dizziness in some people. The vapors that come from Perc can contribute to this annoying problem. · These items tend to stick in surfaces for far too long. · Sometimes discoloration may occur if they are not used the right way. This is a component that has been progressively minimized in many carpet cleaning offices around Singapore. Liquid carbon dioxide is actually being used for cleaning purposes instead of traditional materials that are often used elsewhere. Some sodium-based cleaners have been used in a number of cases. These include many popular products like sodium carbonate, sodium hydroxide and sodium bisulfate. These materials are often used to clean out stains and to help with removing old water rings and other deep stains. However, these are items that are know to be rather dangerous if they are used too often. The problem with sodium-based chemicals is that they can let out harsh vapors that can be easily inhaled and may be dangerous to one's body. The key is to avoid using them too often in order to ensure that a carpet is cleaned. If anyone is going to use them then they should be used with extremely minimal quantities and with plenty of protective gear while ensuring any treated spot is deep-cleaned and vacuumed out as soon as possible to reduce the risk of a sodium product sticking around for too long. If you are going to hire a carpet cleaner then you need to take a good look at the chemicals that are being used. These chemicals can come in many forms and are worth checking on as they can do many things to any carpet.